The Slimdrive SLT is an automatic telescopic sliding door system used for double or four-leaf doors. With the overall height of the operator at only 7cm, the Slimdrive SLT has an extremely slim design making it possible for the operator to be concealed in any facade providing designers with the freedom to design. In addition with the SLT it is possible to realise very large opening widths, up to 3600mm between vertical frames. Interior and exterior doors up to a combined weight of 240kg are moved reliably and unobtrusively. Aesthetics and design realisation are important. Advanced technology and GEZE innovation has addressed this important aspect with the Slimdrive Range. The SLT also benefits from quick and easy assembly and installation. 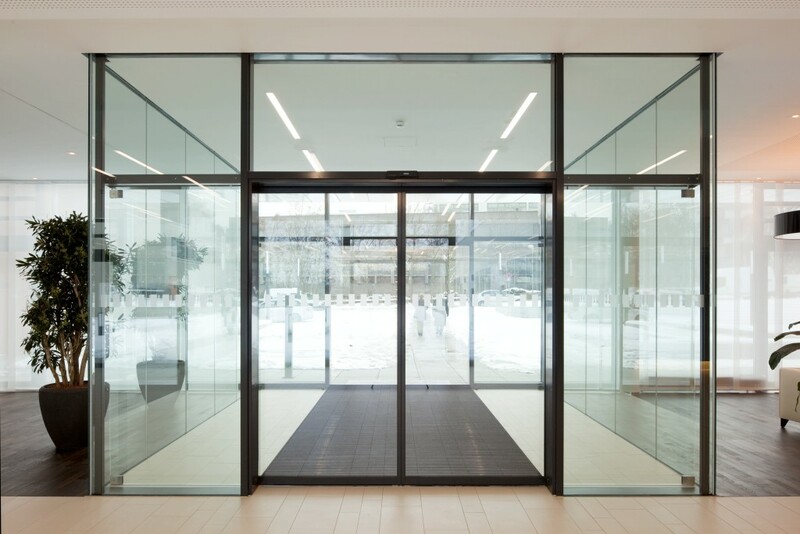 The extremely powerful Slimdrive SLT system is used for double or four-leaf telescopic sliding doors that offer the maximum amount of clear space and so allow large open entrances, perfect for high traffic areas such as shopping centers and train stations.